The 21st century is caricaturized by a growing awareness of the need to protect the environment by developing new green technologies and reducing pollution levels without harming the economy. The intrsection between sustaining a growing global population and understanding the importance of protecting the environment is expressed in the development of innovative technologies that provide solutions to environmental problems including land and water pollution, waste treatment, sewage purification, green energy etc. One of the major industries leading the green revolution is the agriculture, which constantly is developing new products and processes that will increase the food supply and protect and enhance the water supply, all while economically maintaining a clean environment. 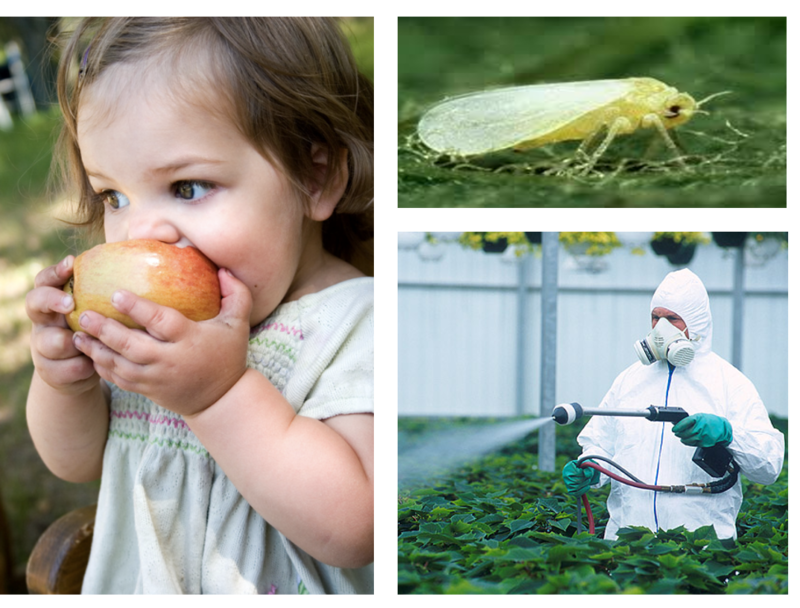 The use of poisonous pesticides for pest control is one of the world's largest sources of pollution. Poisonous pesticides pollute the soil and groundwater, and leave a residue on the food we consume, effecting the health and well-being of humans and animals. Despite strict regulations in most Western countries, pesticides are often overused on crops. And, despite the use of pesticides, farmers lose about 20% of their crop every year due to pests, while the Insects, over time, develop resistance to the pesticides that require higher levels of pesticide use. 1. Relatively low efficiency in pest removal. 2. Fear of violating the ecological balance by artificially introducing animal species into a stable eco-system. EdenShield has developed a family of products using patented innovative plant protection technologies which are safe and environmentally friendly. 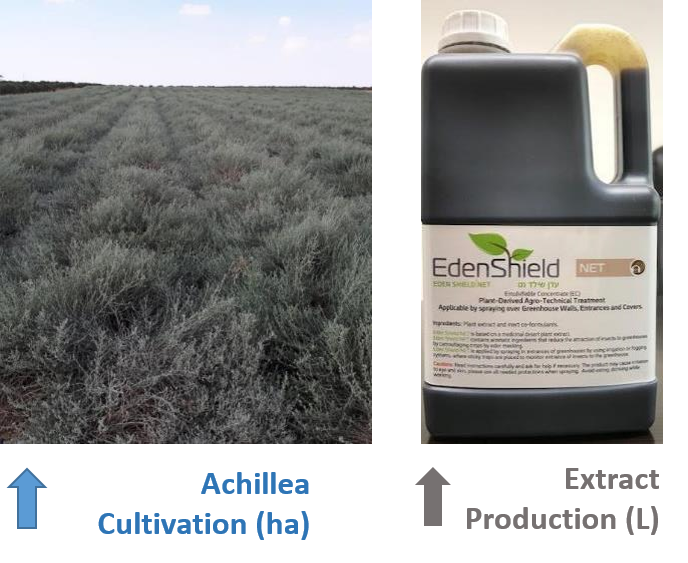 , Our products are based on extracts from the Achillea plant, a desert plant with a scent that keeps away the the most intrusive pests that are harmful to greenhouse grown crops. Our products are not toxic and are safe to use up until the moment of harvesting. They have been provenlaboratory and field to be very effective as a natural plant based alternative to chemical pesticides. In field trials, the company recorded an 85% decrease in the entry of insects into the greenhouse, a 90% reduction in the use of chemical pesticides and an increase of approximately 30% in final crop yield. The EdenShield solution: a new, ecological approach that changes the way we manage pests and reduce the use of pesticides. Proven: Demonstrated up to 90% reduction in insecticide use for targeted pests: thrips, whiteflies, and tuta absoluta, the three most crop-damaging insects, an 85% decrease along with a 30% increase in crop yield. EdenDirect: innovative formulation of natural plant extracts and minerals that effectively control and clean insect infestation from cultivated cannabis and other plants. EdenDirect is effective against the three most common insects that damage cannabis crops. 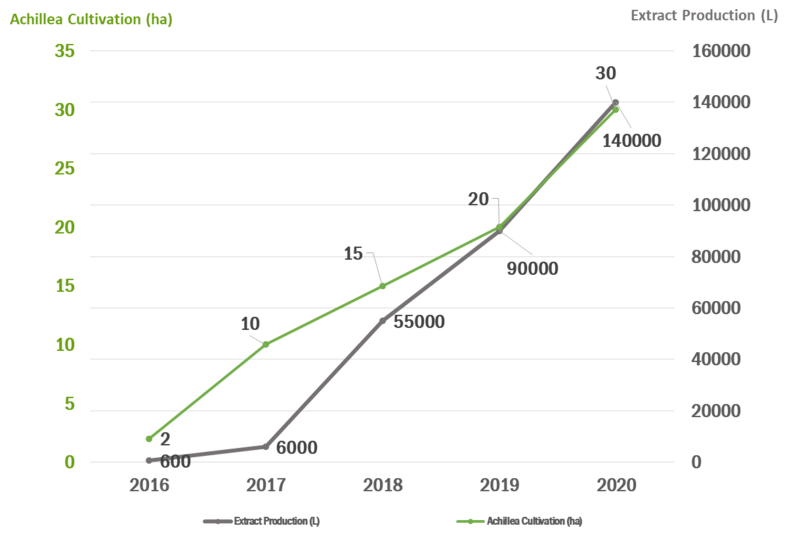 The Cannabis market presents a significant additional opportunity for EdenShield. Application mode: EdenDirect is applied directly on leaves or flowers. 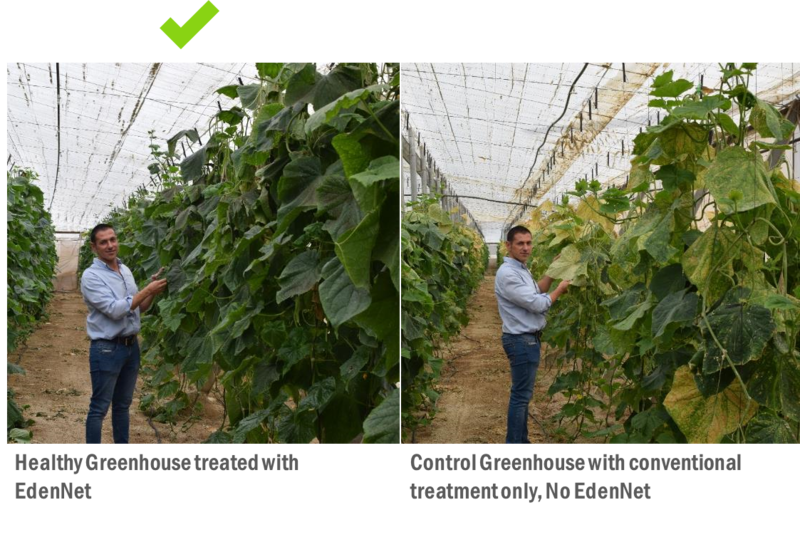 EdenNet: EdenNet is an innovative natural plant-based emulsion that effectively prevents insect infestation of agricultural crop plants in greenhouses. EdenNet utilizes an automated irrigation system that is comprised of standard equipment: water pump, irrigation computer, filter, pipes and spray nozzles. 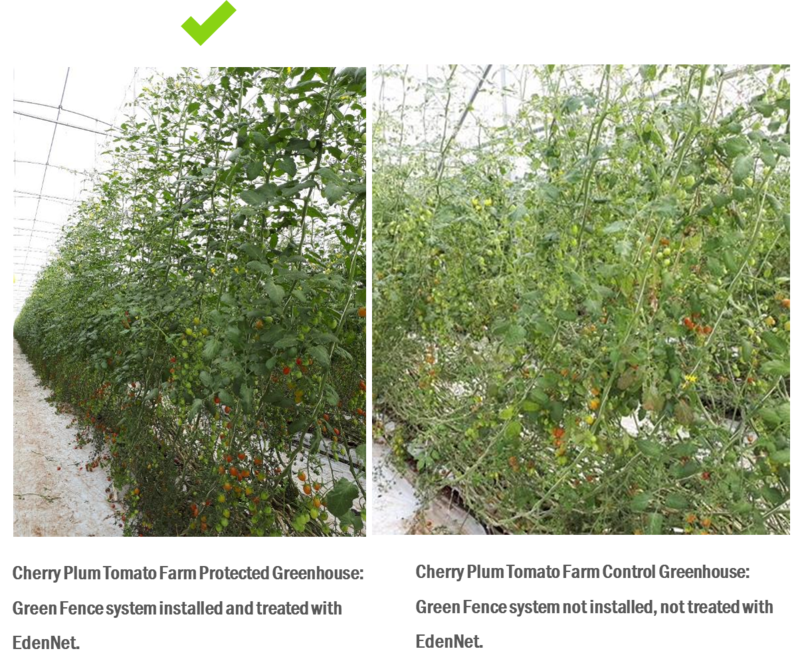 - GreenFence is installed in the greenhouse perimeter, plastic tunnels and screens. EdenForte: innovative formulation of natural plant extracts, Dead Sea minerals and nutrients that effectively control and clean insect infestation from crops and increases yield and health. EdenForte is a complementary product to the EdenShield proprietary portfolio, Ideal for Integrated Pest Management (IPM) for its high compatibility and synergy with chemical or biological products. Application mode: EdenForte is applied directly on leaves it is an overall foliar spray. 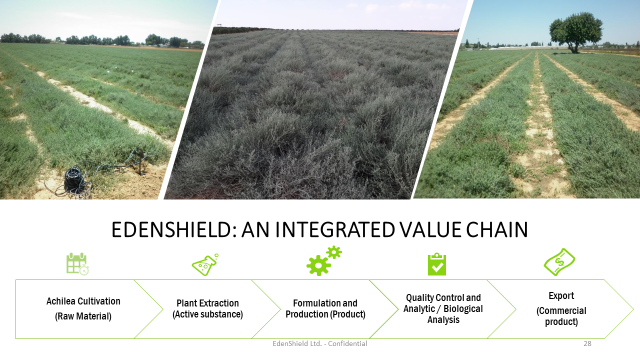 Our value chain is fully controlled by us, EdenShield is an integrated value chain, and we are responsible for our plant raw material cultivation (see our Achillea fields in the picture bellow), plant extraction, production of formula QA/QC and commercialization. Breakthrough results – Italy & Spain showing a statistically significant reduction in insect’s penetration. 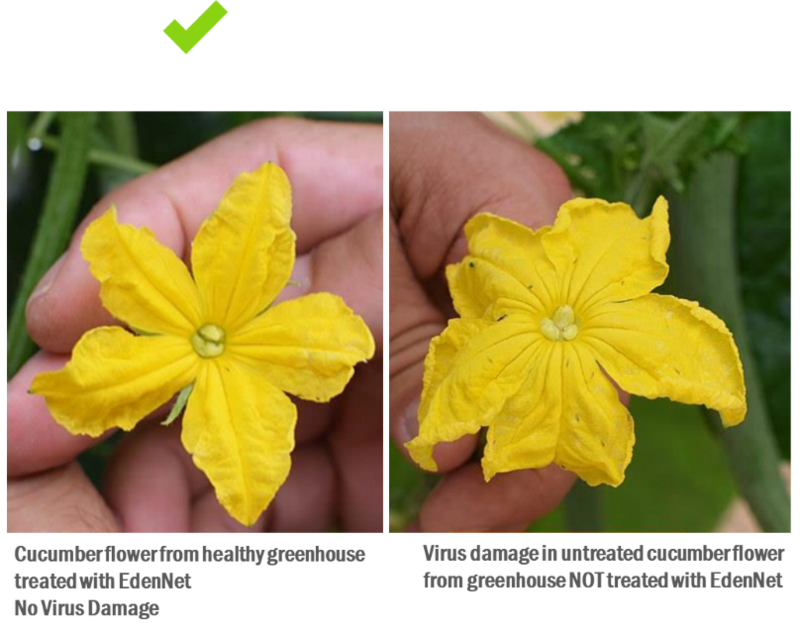 EdenNet has proven its efficacy against: Whitefly: more than 80% reduction, Tuta absoluta: more than 90% reduction, Thrips: more than 50% reduction. Less crop damage and fewer viruses. EdenShield reduced to the maximum the presence of whitefly and thrips, and therefore eliminated the viruses that are transmitted by these vectors. 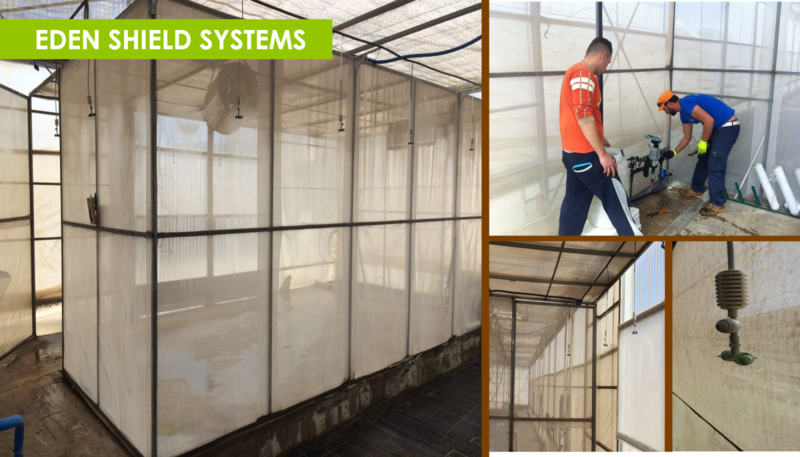 We have seen great results in controlling Whitefly in comparison between a treated and an untreated greenhouse. (Cherry Plum Tomato Farm, Mexico). MBA. Yotam Gadot has over 20 years of experience in actualizing commercial potential for technology ventures. He has established companies in the AgTech, Defense and IT sectors. Prior to joining EdenShield, he served as CEO of Eltel and Phytech. MBA and B.Sc. Electrical Engineering. Peter Shaw has been the founder or first professional CEO of six companies and has led five of them to successful exits. He has served, at the direction of venture capital investors/boards, as interim and turnaround CEO for four other companies and has sat on over 15 private and public boards as an outside director. Peter specializes in advising his clients in the strategic and operational aspects of their business. He represents OurCrowd on the EdenShield Board. Bsc in Chemical Engineering. Yaniv is an expert in botanic product development. He has international executive-level experience in advanced agricultural markets. He has held positions at Netafim, Haifa Chemicals (ICL) and Herbs of Kedem. MBA, and M.Sc. and PhD (candidate) in Molecular Microbiology & Biotechnology. Hadar has extensive experience in global business development, licensing, strategic open innovation and global sales, as well as marketing in international sectors of Sustainable Agriculture, Foodtech and Consumer Health. Hadar has held positions in Aquagro Fund, Unilever open innovation port and Frutarom. B.Sc. Engineering Operations Management. Bar has extensive experience in operations and supply chain management as well as project management.